The Walter Maul Estate of 1604 Acres debuts as first time to market. This family-owned legacy ranch with respected reputation is a working cattle ranch that has too many features to describe with words. Located just South of Hwy 86 on Maul Road along Comanche Creek; the large ranch has two homes, outbuildings, corrals, abundant wildlife, pine trees, fields, pastures, mountain views and more. All water rights and minerals owned by estate will transfer. 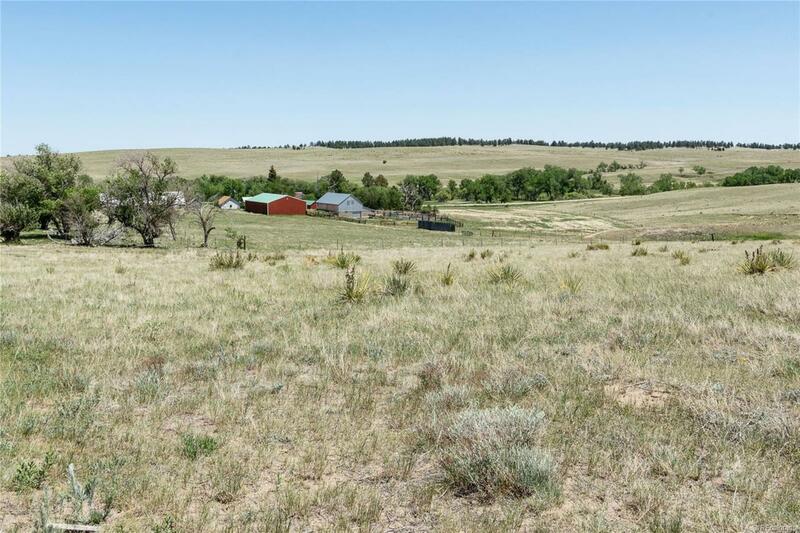 A unique opportunity to own a rare piece of Elbert County history, where the cattle can roam and you'll find a broad spectrum of wildlife that includes mule, whitetail, antelope, turkey and the occasional elk, bear and mountain lion. This scenic ranch boasts a diversity of habitats from productive meadows and alfalfa fields to rolling hills which give way to pastures and ravines with scatterings of cottonwood and pine trees. Fenced and cross fenced, well thought out for running a large or small herd. Or an opportunity to subdivide.